displays a stunning assortment of timeless beauty with rustic flavors in every plank of this wood-look laminate collection. Offering an exotic mixture of colors, this collections shades mimic the hues of wine barrels internationally known all over the world. 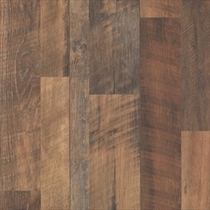 Brimming with rugged vintage goodness, this assortment is a complicated twist of laminate flooring. Imagine touring incredible wineries worldwide and stopping to enjoy each one in their own way. Chalet Vista is the ultimate way to mass time and embrace the artful essence of winery-infused flooring. 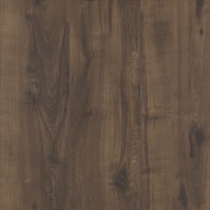 Mohawk Chalet Vista Barnhouse Oak is a smoldering mix of different oak aesthetics including dark amber hues and golden blonde shades. The intertwining of the two colors, along with the scratch and graining efforts that are applied, produces an old, authentic look that adds a mesmerizing feature everyone seems to love. Imagine a barn on acres of land in Normandy, France, and the tones of the wood perfectly match this color in all its glory. Perfect for upstairs and downstairs living areas with lighter decor accents and traditional wooden furniture. Cheyenne Oak is a smoky-gray visual that presents oak greatness with its mauve swirls of dark brown wood that are applied within this floor. 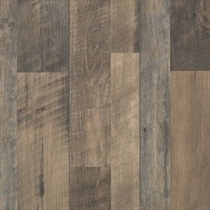 This vintage-style laminate is meant for the bustling business conference room or a dining room that glistens within its New England home that's full of family life. When installed in an open room with natural light exposure, this plank will transform your room into a stunning masterpiece that will meet every one of your needs. Midday Mocha Oak is different from the rest with its auburn, reddish hues that shine beautifully through this floor's rustic characteristics. The engraving techniques that are placed between each knot and grain gives off an old western vibe, that is perfect for countryside owners. Looks exquisite in any bedroom or living room with immense space to really captivate its true charm. Chocolate Glazed Maple is maple wood at its finest; the patterns are so realistic that even a trained eye will think it is real hardwood. 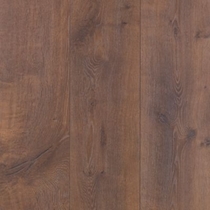 Dark, polished, and stunning in appearance, Glazed Maple is utterly delicious. Echo Canyon Oak is reminiscent of a trip through the Southern countryside with a special stop to a centuries-old farmhouse. Slices of mahogany, tawny bronze, and black oak wood carefully coat this incredible floor. Kitchens around the world will rejoice in its natural splendor. Honeytone Oak is a wonderful choice for designers and homeowners who love the beauty of natural unfinished oak hardwood harvested directly from the forest. 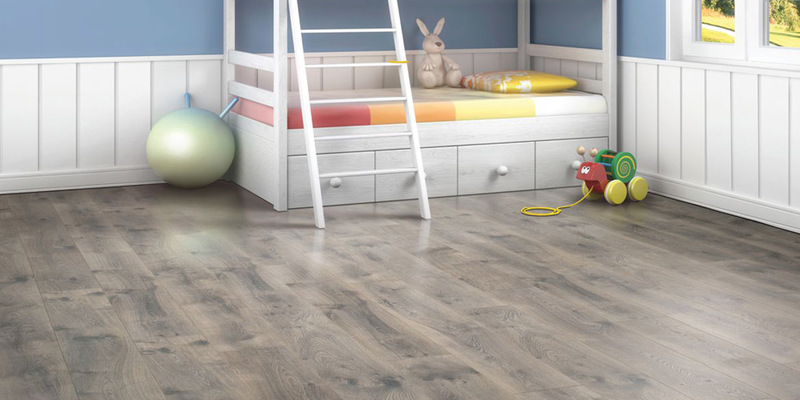 The mid-tone browns in this laminate, wood-look collection matches wonderfully with a variety of different decor options that makes creating your master bedroom or downstairs area easier then ever! 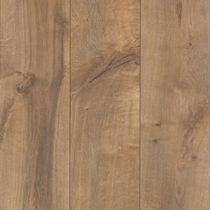 This collection of wood-look laminate floors is available in one 7.5 x 47.25 plank size; available in all six colors. Adhesives are not necessary as the Uniclic installation method allows the planks to be clicked together and floated over an existing floor. This collection aims to deliver rustic style with a sophisticated and regal upgrade. Chalet Vista is a fun and unique way to entice and delight flooring fans who want something rare and creative without having to spend ridiculous amounts of money. Its cost is cheap, but its flooring quality is huge. This rare display of antiquity answers the age-old question, â€œWhere have all the great flooring collections goneâ€�? 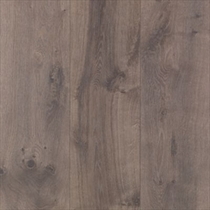 The answer, of course, is Mohawk Chalet Vista laminate flooring, which delivers otherworldly charm with a glossy touch. Are You a DIY Individual? If you are someone who loves DIY projects or just simply loves saving money on flooring renovations, then check out Mohawk Chalet Vista Installation Guide to help you perfect your dream home at a cheaper price than normal. I mean, who doesn't love to save money?